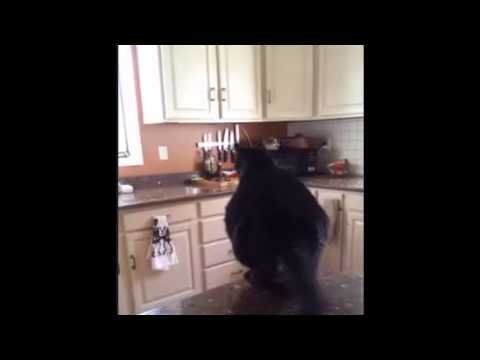 See as the black cat in big ambition lines and attempts an unsuccessful counter-top jump in the kitchen. So hilarious.. Selecting video weblog about news, science and tech, sports, arts, comedies, celebrities and entertainment around the world.